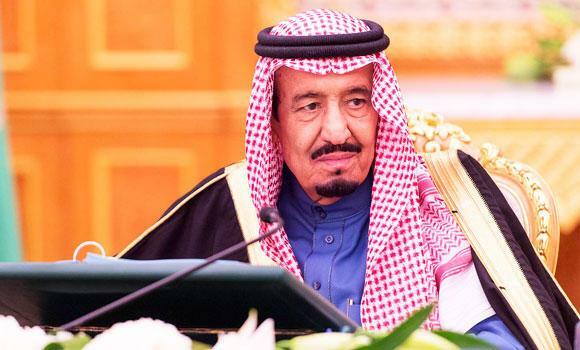 Custodian of the Two Holy Mosques King Salman, who took charge as the seventh king of Saudi Arabia on Friday, is a man for difficult missions with distinguished leadership qualities. He has established strong relations with world leaders and worked closely with all previous kings, says Saudi authors and researchers well versed in the new king’s life and history. “King Salman has closely worked with the previous six kings of the Kingdom and this enabled him to achieve a lot of political and administrative experience. He has been very close to the center of decision-making. As a result, he was able to achieve several successes as the governor of Riyadh,” said Abdul Rahman Al-Shubaili, a Saudi researcher and journalist. “We have now a new king who brings together administrative expertise with deep knowledge about world affairs and strong leadership qualities,” he said. When he took over as governor, Riyadh was a small principality covering a few hundred kilometers and when he handed it over to his successor (the late Prince Sattam) the region had expanded at least 10 times while its population rose from 100,000 to 5 million, Al-Shubaili pointed out. Salman presided over the Riyadh Development Authority for nearly half a century, and during that period the region achieved tremendous progress in various sectors, including health, education, industry and culture. During that period foreign embassies were shifted from Jeddah to Riyadh. The new king has established strong relations with world leaders, the researcher said, adding that he has held talks with kings, presidents and prime ministers of major countries and visited important countries, including the United States, the UK, France, China, Japan, India, Pakistan, Germany and Spain. King Salman used to take lunch with his children to strengthen family bonds. “He is a leading member of the royal family and personal adviser of all previous kings,” the study said. “His long administrative experience as the governor of Riyadh, his important position with kings and top officials made him a dependable reference for the country’s politics and history,” it added. King Salman has reiterated his strong commitment to the Holy Qur’an. A prize has been instituted in his name for the memorization of the Qur’an for boys and girls. He used to complete the recitation of the Qur’an three times during the holy month of Ramadan, the study said. He believed in the significance of book as a carrier of knowledge, a record of civilization and a sign of culture. Salman has been a friend of book since childhood. “Reading was not only a hobby for him but a permanent program and he used to read books on religion, politics, economy and society, and enjoyed reading books during journeys,” the study said. King Salman is also known for his open-minded policy toward citizens. According to Zainuddin Al-Rikabi, who has authored a book when Salman was appointed the crown prince, Salman is well versed about world affairs. “Whenever I conversed with him I learned he had the latest information about what is happening in the world. I have seen him talking profusely about Europe, America, Japan, China, Russia and other countries, giving the impression that he is a specialist on them with an open mind on world affairs,” he added.